isn't it bittersweet when a friend leaves to go onto bigger and better things? 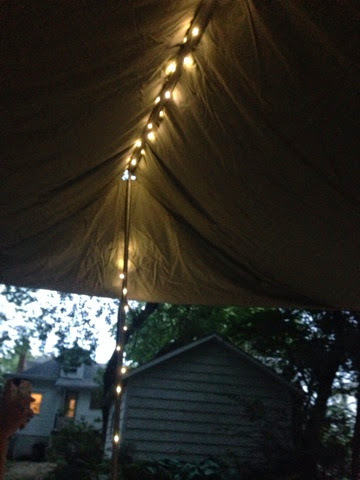 as our last hurrah before christie leaves, my friends and i tried to set up a home made canopy-tent thing for an outdoor theater....but 3 of us failed and then my heroic husband singlehandedly set the entire thing up. 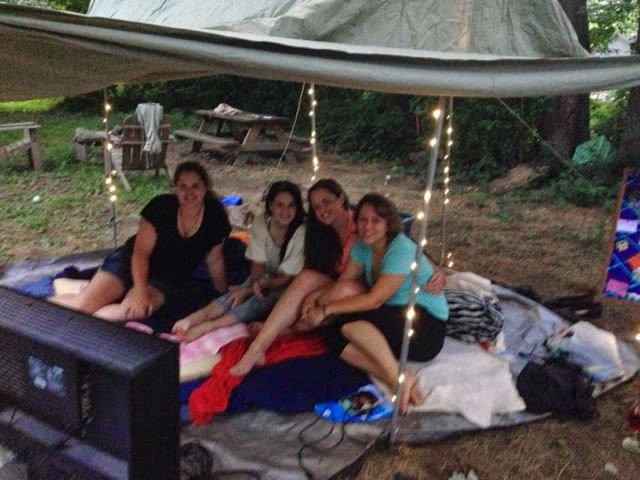 we laid down a tarp, a mattress topper, a ton of pillows and blankets, and we ran extension cords out to the tv we had hooked up. kinda ghetto, right? 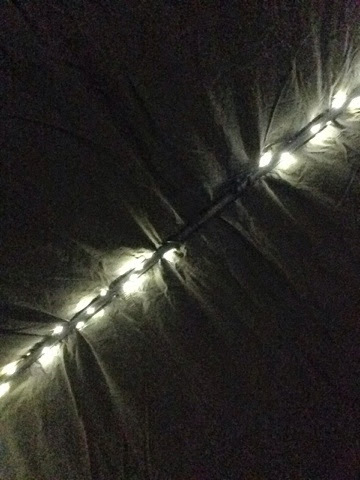 but we had fairy lights! which made all the difference. 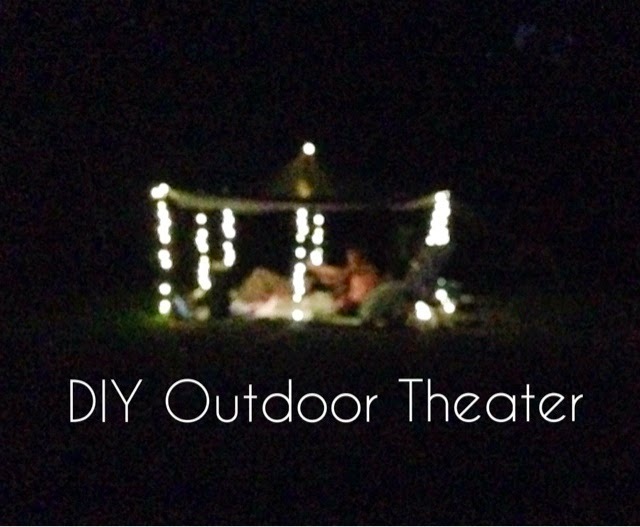 ours were battery operated (so easy to use outside) LED lights, which you can find here. i'm gonna miss you, friend. Looks like a very fun and cozy goodbye to your friend! 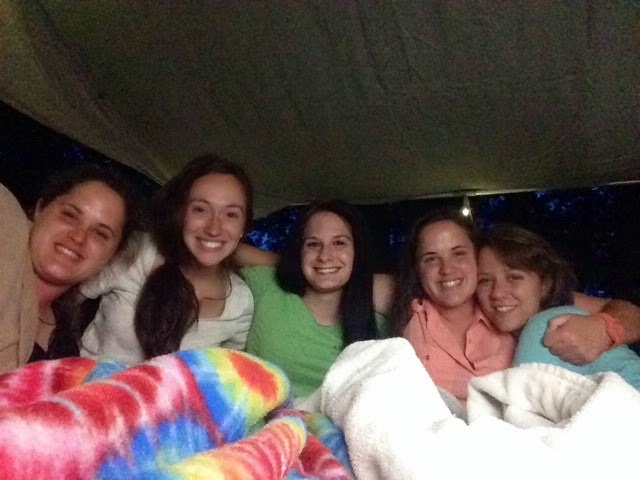 yeah, it was fun to be curled up on couch cushions and under blankets on a cool summer night! thanks! 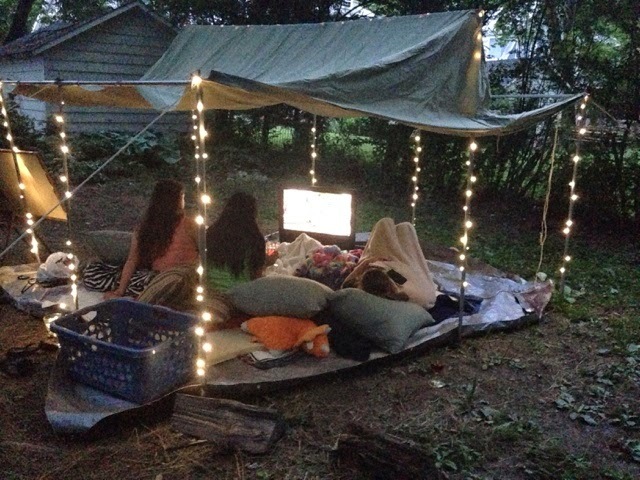 pretty sure we just adapted it from something we saw on pinterest.